The real Freddie developed pea**** hair and got a f@ggy tattoo on his face before killing himself. He told us all about it on the forum before his ghost checked the resposes after his suicide. did I have face tattoos before I died? Welcome back, stay on the road to recovery...life is too short for unnecessary chaos. Many people can't find the volume knob on fun, it's best to turn the stereo off and start again. 6 months........................hahahahahahahahahaha! Welcome back, Freddie! I missed you, glad you are doing well! 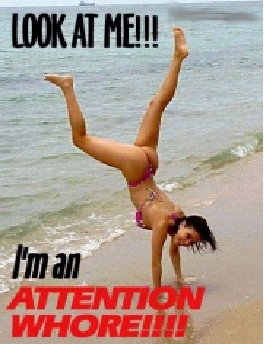 thnk you... how you been? good how is your daughter? I don't know you but congrats and welcome back. She's also doing well. Same old here. Wow glad you didnt really off yourself. Glad youte back. Glad you are back and most importantly Im glad to know you are alright (alive). lol the nerve of this junkie clown to come back and not bother to apologize for his sh/itty coward behavior....unreal. Think how absolutely PATHETIC this guys IRL is? You have the only correct reply of all people here. You seem to be a smart guy, i think you went to an excellent college. Seriously some of you guys basically patting him on the back (ie 12er, mauro, etc) need a kick in the ****.....you are enabling him. I don't know the guy, but a heart felt apology to the members would go a long way, I read the thread about his "demise" and many were sincerely concerned and disappointed in the bad news. Even if your life was out of control and you didn't feel the need to address it here, the damage was done to members that won't soon forget. If you're sober, if you want to clean the closet of demons, if you want to turn a new leaf...you owe it to yourself to bury past mistakes with humility and dignity. I think it has more to do with so many people who did reach out to help him, not forum help, not trolling or the typical forum bull****, but real people offering advise and really caring for the guys well being and then the events that proceeded it. Some will forgive and forget, others will give some tough love, and others will say **** it and give him the respect they think they got back from him. I think it has more to do with so many people who did reach out to help him, not forum help, not trolling or the typical forum ****, but real people offering advise and really caring for the guys well being and then the events that proceeded it. I get that but none of those that reached out and i know who a few are, are the one complaining. Oh I am not defending Vert. He is a ****ing moron. I am just pointing out that in cases where people put their emotions out to try and help, and get some weird **** in return, some wont just accept him coming back to open arms. 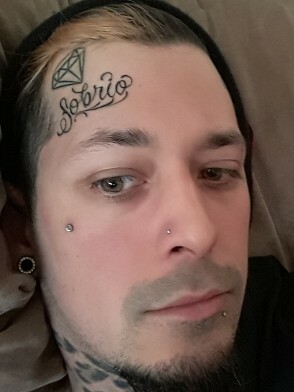 There were people who thought he legitimately offed himself until I think Sober pointed out he was posting after and did the whole face tat. Is that a blonde patch in your hair? You probably should've just offed yourself. Dude thinks he's Mike Perry or some chit. Face tats aren't for everyone, son. what size jeans do you wear m8? King Vert is busy resting his d!ck on Freddie's forehead. OP stole my girlfriend's earring! Bold move with the selfie, breh. Glad you're not dead ( I didn't think you were ) and clean ( grain of salt but hopefully you actually are ). I thought it was really chitty you left some people wondering but maybe you had you're own reasoning so i ain't judging. People do strange chit sometimes when they're depressed and i don't think many people understand fully what real depression is actually like even when you are trying your best to do everything in your power it's a struggle to shake it and it's hard to feel right again when it just keeps coming back sometimes for no apparent reason. After a while of that it's like everything is numb and you enjoy nothing and life has no meaning. It's an aweful, aweful dread feeling that doesn't wanna leave no matter how hard to try to be consecutive and strive but most people can even fathom what it's like to deal with that so again i ain't judging. You'd have to be high as hell to get Sbarro's tattooed on your forehead. He's a walking billboard for his new place of employment. I said "grain of salt" but if he actually is good for him. If not whatevs.